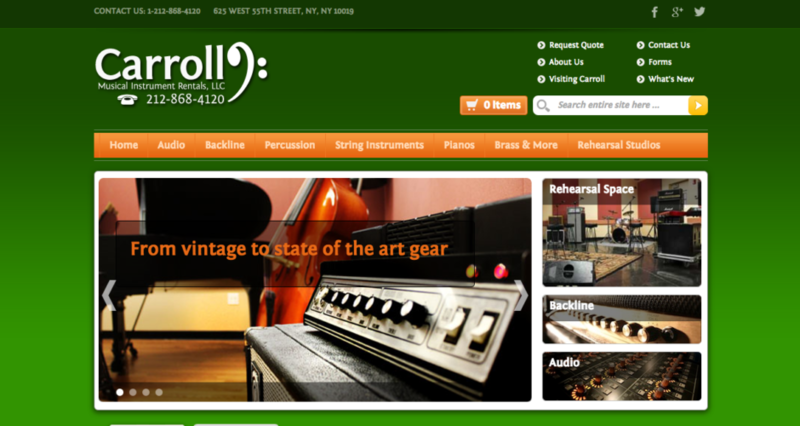 Carroll Music is a top musical instrument rental company based in New York City. We developed a strategy for generating a new and steady flow of targeted customers. The project began with an entire website redesign. Each page of the new site featured a strong call to action as well as clear navigation to similar items. We set up a geo-targeted PPC campaign along with a monthly newsletter. In phase two, we improved keyword rankings for profitable keywords mined from the PPC campaign. Content Management, Including Proof-Reading Copy, Images, Video, etc.